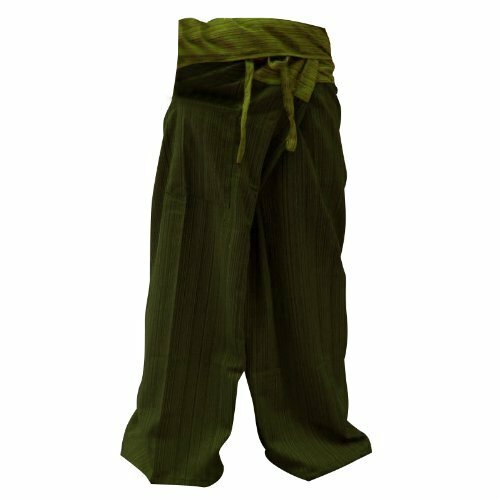 2 TONE Thai Fisherman Pants Yoga Trousers FREE SIZE Plus Size Cotton Drill Striped Thai Cotton Drill Fisherman Yoga Pants FREE SIZE Top quality authentic 100% Cotton Drill "Gangrene Charlady" Thai Fisherman pants for men and women! Super-comfortable and versatile- wear them for any occasion! Thai Fisherman Pants have a very wide waist with a belt that ties from the rear. Simply step into the pants, pull the waist out to one side wrap the extra fabric around to the front and tie the belt. Length can be adjusted by folding over the top of the pants! These versatile Freesize pants measure about 56" around the waist and total length is about 42". One size fits most! For your reference- I am 5'10" tall with a 33" waist and 32" inseam. These versatile Free size Fisherman Pants will comfortably fit XS-XL sizes.Our high quality fisherman pants are hand made in Thailand of 100% strong and durable heavy weight cotton drill. 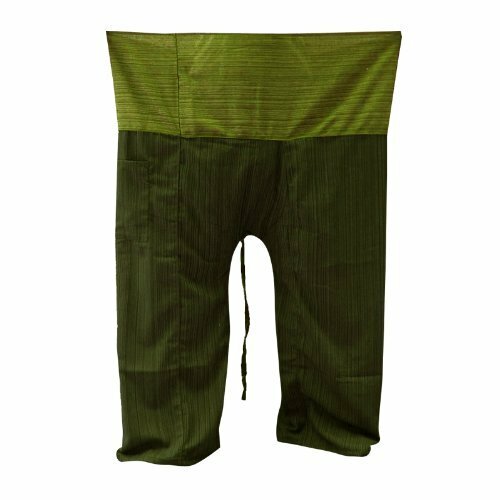 2 TONE Thai Fisherman Pants Yoga Trousers FREE SIZE Plus Size Cotton Drill Striped Thai Cotton Drill Fisherman Yoga Pants FREE SIZE Top quality authentic 100% Cotton Drill "Gangaeng Chaolay" Thai Fisherman pants for men and women! Super-comfortable and versatile- wear them for any occasion! 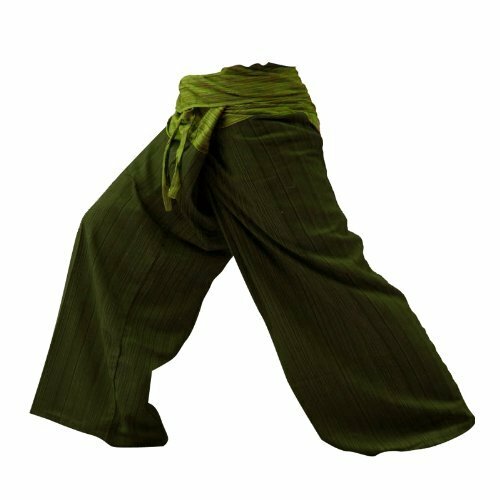 Thai Fisherman Pants have a very wide waist with a belt that ties from the rear. Simply step into the pants, pull the waist out to one side wrap the extra fabric around to the front and tie the belt. Length can be adjusted by folding over the top of the pants! These versatile Freesize pants measure about 56" around the waist and total length is about 42". One size fits most! For your reference- I am 5'10" tall with a 33" waist and 32" inseam. These versatile Freesize Fisherman Pants will comfortably fit XS-XL sizes.Our high quality fisherman pants are hand made in Thailand of 100% strong and durable heavy weight cotton drill.